On November 4th, citizens of the Hawaiian island Maui successfully voted to prohibit any growth and testing or cultivation of genetically modified crops until scientific studies prove their safety. The measure is also meant to halt any genetic modification and engineering operations in the county until said study was conducted. But now, biotech giants Monsanto and Dow have fearfully threatened to sue Maui, subsequently leading a federal judge to put a halt on the measure. The people have spoken, with 51.19% supporting the measure, but apparently votes aren’t enough. Now, a legal battle will, at worst, nullify the law, and at best, delay it from taking effect for an undetermined amount of time. The lawsuit filed by Monsanto and Dow asks a judge to immediately prevent the law from taking effect while invalidating the new law. With the passing of the new law, Monsanto would be forced to downsize its activity in the county, where it employs over 365 people and owns or leases more than 3,000 acres of farmland on Molokai and Maui islands. Mycogen Seeds, a unit of Dow AgroSciences, would also sacrifice development and production operations in the county. That sounds like a small price to pay for contaminating countless acres of farmland, killing bees and butterflies, and poisoning our food supply. The case has been assigned to Magistrate Judge Barry Kurren, who earlier this year declared a Kauai County law regulating genetically modified crops was invalid because it was superseded by state law. While that’s going on, the Maui initiative’s authors sued the county in state court Wednesday to ensure the county implements the law. Further, Monsanto Vice President John Purcell says the law interferes and conflicts with long-established state and federal laws that support the safe and lawful cultivation of GMO plants. The authors attorney, Michael Carroll, said they would request the federal court to hold off from deciding this case until the state court on Maui has ruled. Further, the biotech giant led to the suicides of almost 300,000 farmers in India, as Monsanto’s intrusion into India’s traditional and sustainable farming community has led to massive debt and the loss of farmland, leading many farmers to suicide. And once the farmer is gone, the debt falls on the remaining family members. Monsanto, Dow, Bayer, and other suicide seed sellers have essentially created a generational slave economy based on their toxic chemical and seed monopolies. 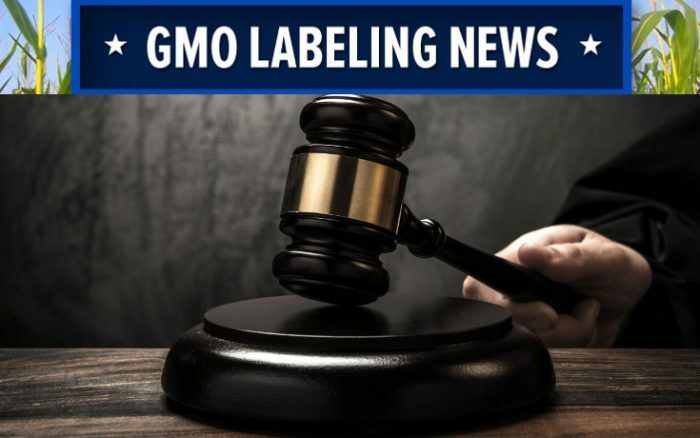 In June this year, the Grocery Manufacturers Association, an industry association funded by Big Food, sued the State of Vermont for instituting its GMO labeling law. Again last year, Syngenta and Bayer sued the EU for placing a limited ban on their neonicotinoid pesticides, which are killing the bees! GMO/chemical companies suing governments seems to be a growing trend. Unfortunately, this trend will continue as long as corporate budgets exceed the resources of state governments, and as long as corporations are granted the rights of individuals without the responsibilities or consequences. The simple solution to labeling is to have the NON GMO get organized and just boldly label themselves as NON. All food with no NON on them would then be considered labeled, by default, as GMO. Monsanto will probably send their investigators after you for saying that. So, clearly, it’s not a label they feel they would be able to successfully market with PRIDE! what does THAT tell you about what THEY think about the safety of their OWN foods?! If I didn’t know any wiser about GMO (which I do), this act of suing the state ALONE would tell me to steer CLEAR of all foods with GMOs in it – ergo, GO ORGANIC! !